Will an 11-yr-old girl change Illinois’ laws on medical marijuana? Good news for a Saturday morning. Yesterday, in a suburban Chicago courtroom, what appears to be a tiny decision to allow one young girl to use medical marijuana in a public school so she can attend classes, will likely send ripples all across Illinois and maybe the nation. Life has a been a battle for Ashley. At the tender age of 2 she was diagnosed with leukemia. With the help from her parents, family, an amazing network of friends, doctors and nurses, Ashley waged a long fight against the disease, eventually winning the battle. She has been in remission since 2011. This struggle was not without compromises to the young girl’s life. Chemo and medicines needed to defeat the leukemia brought with them a host of side effects and complications. Most notable, seizures…lots of them. In fact, last summer a seizure caused Ashley to fall and crack her skull, requiring brain surgery. 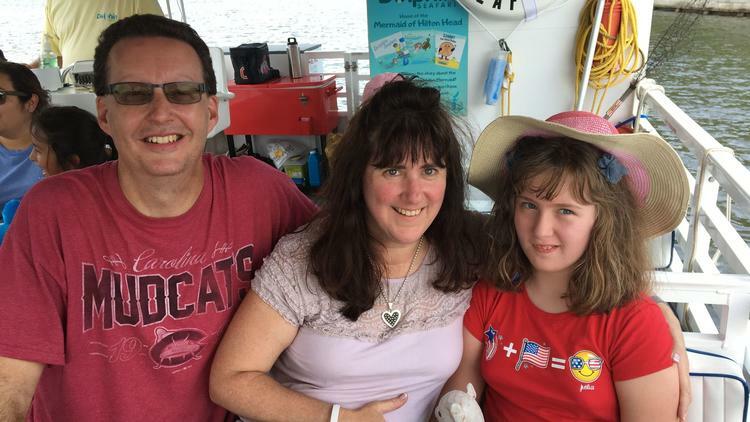 For these past nine years life for Ashley’s parents, Maureen and Jim, was filled with unscheduled visits to the ER, followed by endless testing on their daughter and attempts to adjust her medications. Last Fall, Maureen and Jim decided to look into changing Ashley’s medications from pharmaceutical-based to a more natural, plant-based treatment. Yes…medical marijuana. After careful study and consultation with doctors (not all who agreed with the idea), the Surins set about applying for their 11-yr-old daughter to get a medical marijuana card in Illinois. In early December, Ashley was accredited and her parents (again, in consultation with a doctor) began slowly reducing her pharmaceutical meds while adding medical marijuana. Using patches and oil infused with cannabis, Ashley began what her parents have called a “remarkable” and “miraculous” transition. Since December, the young girl has suffered only one seizure. Speaking about the change in Ashley, my sister Maureen used the term “golden cure” adding, “She can think better, walk better, talk better”. All of that was terrific…until the school decided Ashley could not use medicinal marijuana on the public school grounds. It was against the law and they barred my niece from attending classes as long as she was medicating with cannabis. The Surins had a choice…go back to the drugging their daughter, waiting for the next seizure or keep her home and try to change the law in Illinois. With the generous assistance of attorney Steven Glink, a suit was filed earlier this week. A hearing was scheduled for Friday January 11. The Illinois Attorney General’s office worked with US Judge John Robert Blakey and on Friday, the judge ruled Ashley can return to classes as the system attempts to catch up with the latest advances in medical marijuana. 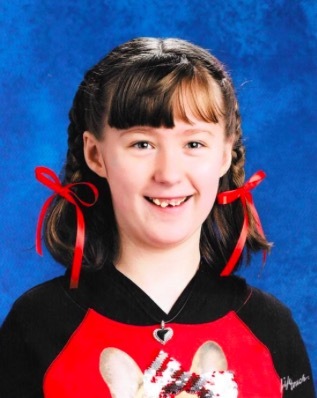 It should be noted, the school system’s banning of Ashley (or any student) for using medicinal marijuana was tied to an archaic law which puts cannabis in the same category as heroin. Legally, the school could not permit or assist a student in the use of medical marijuana. This was a massive liability in their mind. There will be another hearing on January 18th. Until then, the school will be allowed to assist Ashley in applying the patches and oil she needs without fear of breaking the law. The exemption is only for this one student…with hopes the Illinois government can move quickly and make the same ruling for all of the other “Ashleys” out there… And for all of the other students and parents who just want a chance at being normal. I’m so proud of my sister, her husband and proud and thrilled for their brave little girl…You rock, Ashley. Read the Chicago Tribune’s coverage of this story. Next Post:22-YR-OLD SEXUAL ASSAULT SURVIVOR FIRED FOR HAVING A CONCEALED-CARRY PERMIT?